The Sabin Center, in partnership with the Columbia Environmental Law Clinic, today filed an amicus brief in the Ninth Circuit Court of Appeals on behalf of the National League of Cities, the U.S. Conference of Mayors, and the International Municipal Lawyers Association in County of San Mateo v. Chevron Corporation—a case brought by California counties and cities aiming to hold fossil fuel companies accountable for damages from and the costs of adaptation to sea level rise and other climate change impacts. The California counties and cities are asking the Ninth Circuit to affirm their right to litigate their state public nuisance, tort, trespass, and product liability claims in state court, and to uphold a federal district court remand order. 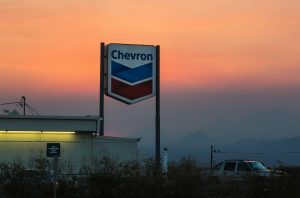 Earlier, the fossil fuel companies had removed the case to federal court, arguing, among other things, that only federal law could apply to the local governments’ claims and that the removal was proper under a provision that provides for federal court jurisdiction over claims involving federal officers. The scope of appellate review is narrow. Consistent with the general ban on appellate review of remand orders and the language and purpose of the limited exception for federal officer removal, the Ninth Circuit only has jurisdiction to consider whether the case was properly remanded for lack of federal officer jurisdiction. While on the one hand this is a technical point, the limited scope of review is consistent with the federalism principles that underlie both the ban and the exception, and are a key concern to local governments nationwide. Plaintiffs pled state law claims in state court, and they are entitled to pursue those actions in that forum. There are simply no uniquely federal interests at stake in the case sufficient to require conversion of Plaintiff’s state law claims into federal law claims or to confer federal jurisdiction. Supreme Court and Ninth Circuit precedent are clear: The Clean Air Act’s displacement of a federal common law cause of action for nuisance for climate change requires the state law cause of action for nuisance to be treated on its own terms. Local governments, which represent the majority of Americans and host a significant part of the nation’s economic activity, have a critical interest in climate change litigation, and should be able to sue fossil fuel companies in state courts. As the district court correctly determined, these cases, in which California counties and cities are suing fossil fuel companies as product manufacturers based on state law claims, belong in state court.